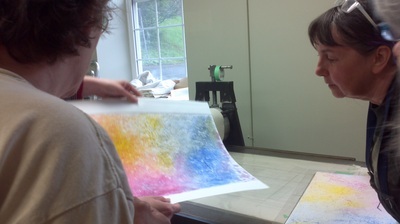 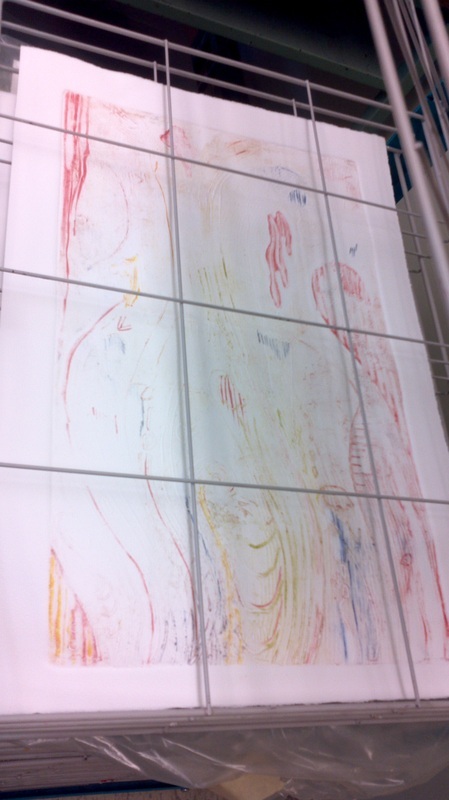 Life is full of surprises, and printmaking should be, too. Building from a foundation of good technique, we will explore the rich overlap between drawing, painting and printmaking while experimenting with a wide range of monotype techniques including additive, subtractive and direct drawing approaches, ink rolling methods drawing from methods such as viscosity, stencils, the ghost print, then continue into the use of collograph, chine collé, relief printing found surfaces, and drypoint in layers. 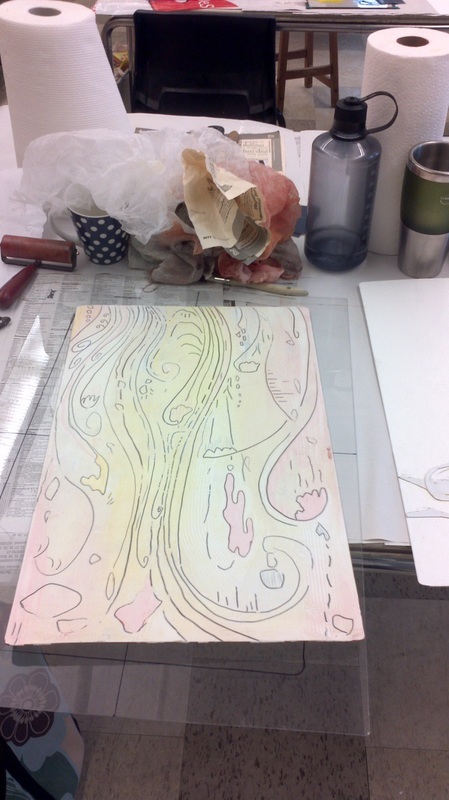 We will look for a fruitful balance between respect for tradition and an openness to the happy accidents that can enrich our printed work. By learning how to have a conversation with the print as it unfolds, we will allow content to come through the juxtaposition of seemingly unrelated or competing elements to create visual and technical contrast. 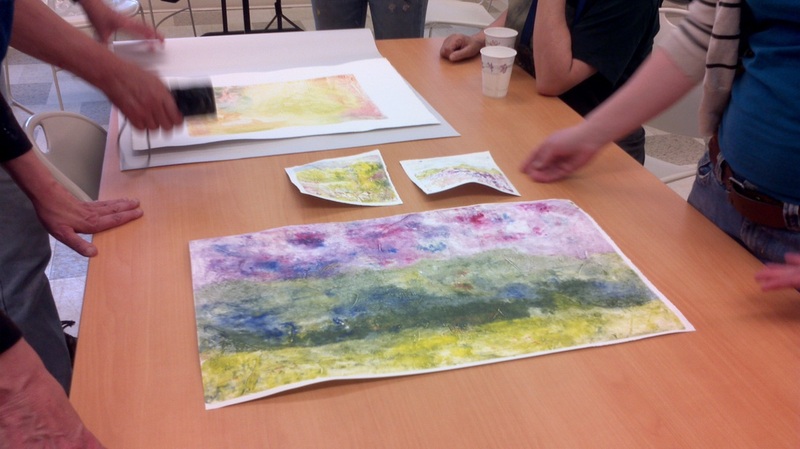 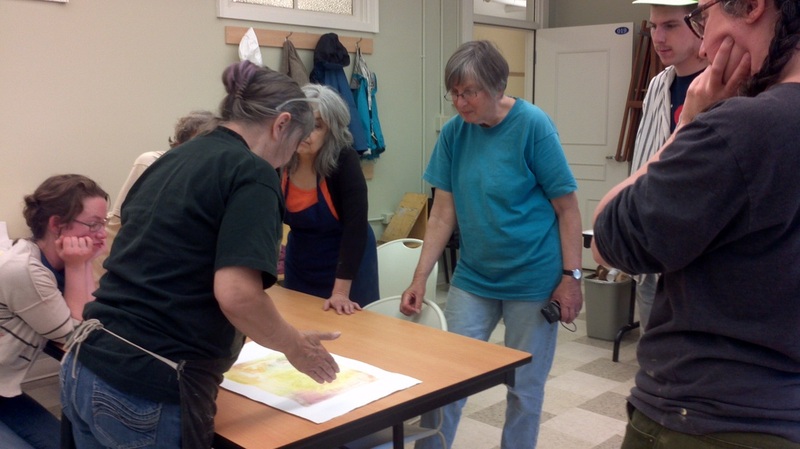 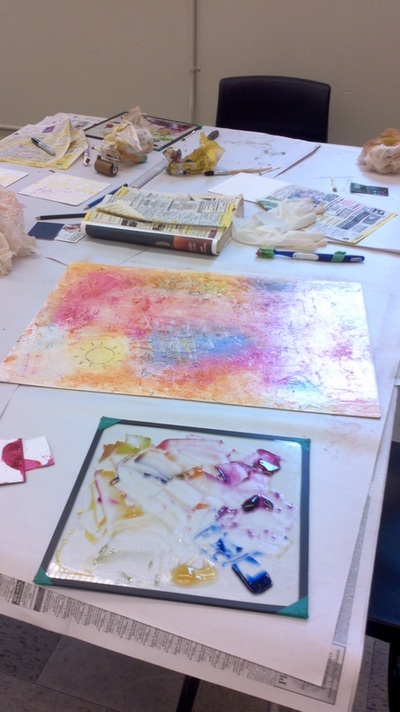 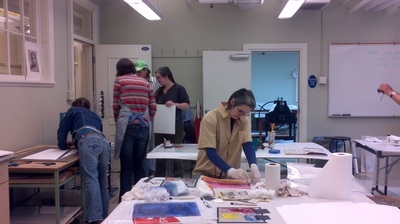 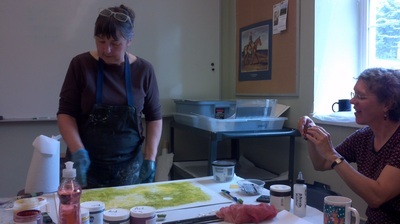 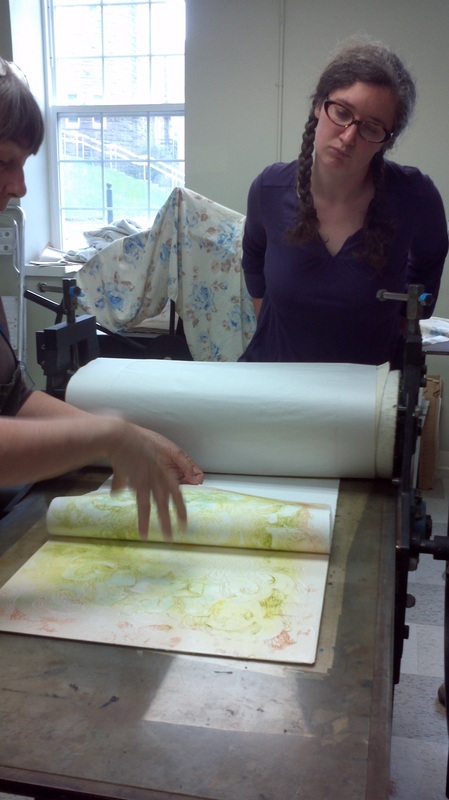 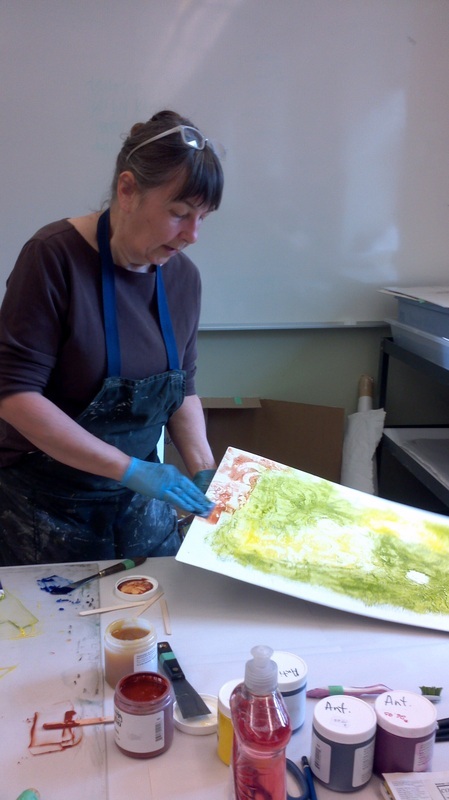 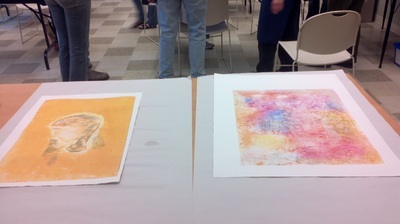 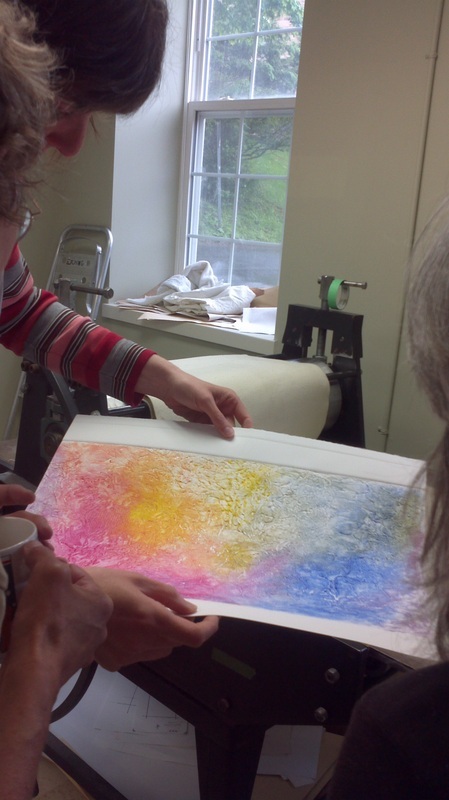 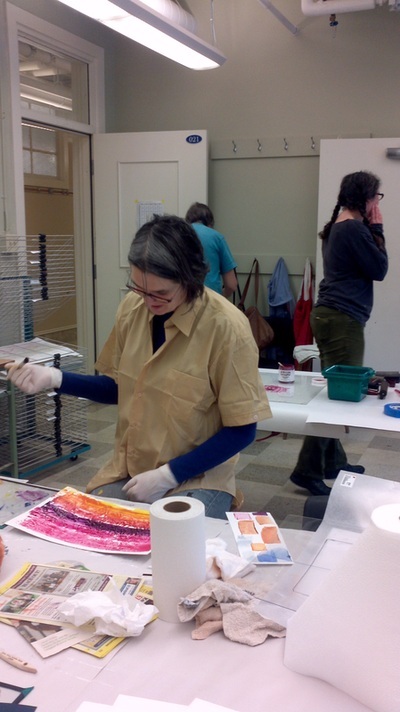 Through demonstrations and one on one discussion, novice to advanced printmakers will learn fresh approaches to mixing inks including waterbased inks, modifying prints at the press, layering images and developing a monotypes edition with related elements. 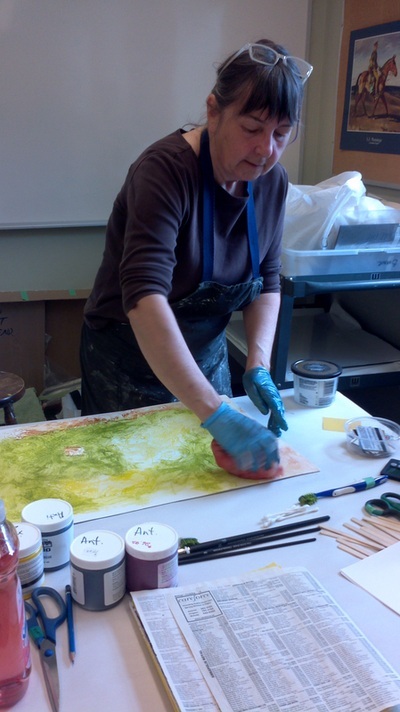 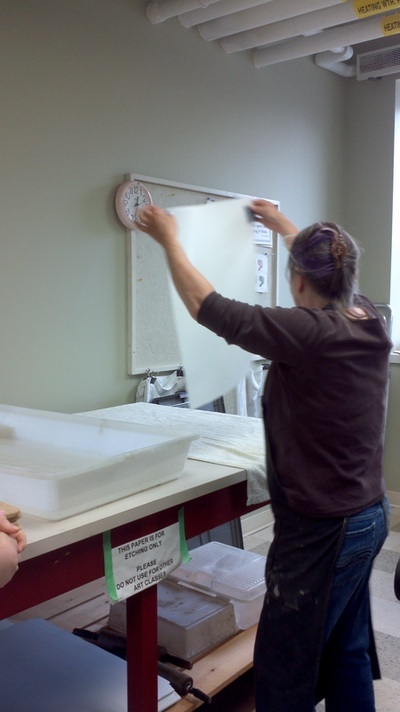 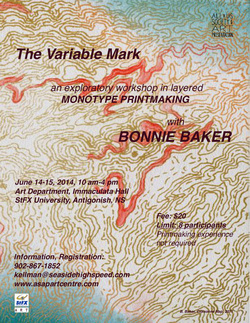 Bonnie Baker is a well-known printmaker and artist from Annapolis Royal who delights in a free, improvisational approach to printmaking that celebrates serendipity. 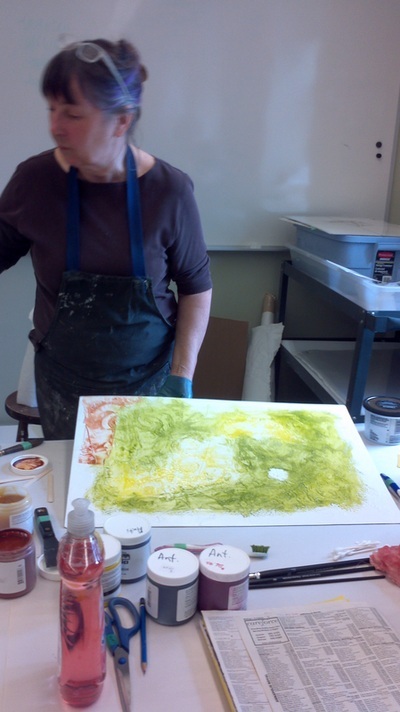 Active in ARCAC/Art’sPlace and VANS, she is also a founder of the new Elephant Grass Print Collective in Parker’s Cove.